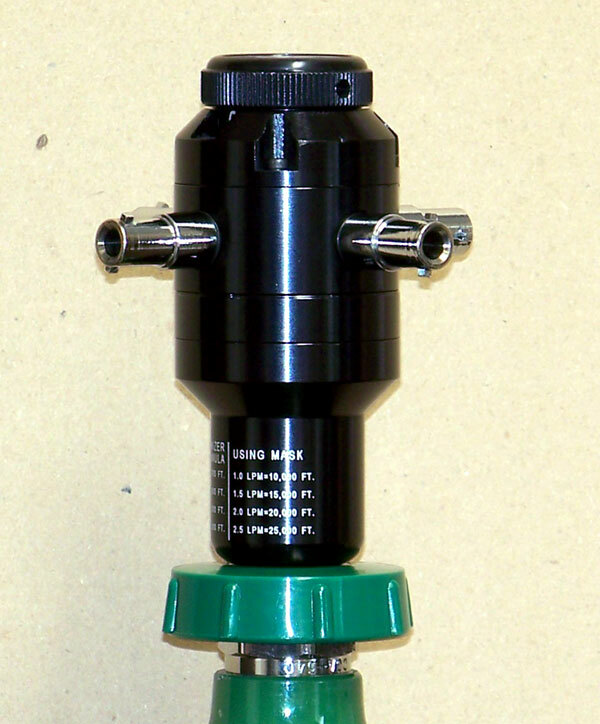 Adjustable flow regulator - 1 or 2 person or 1-4 person. 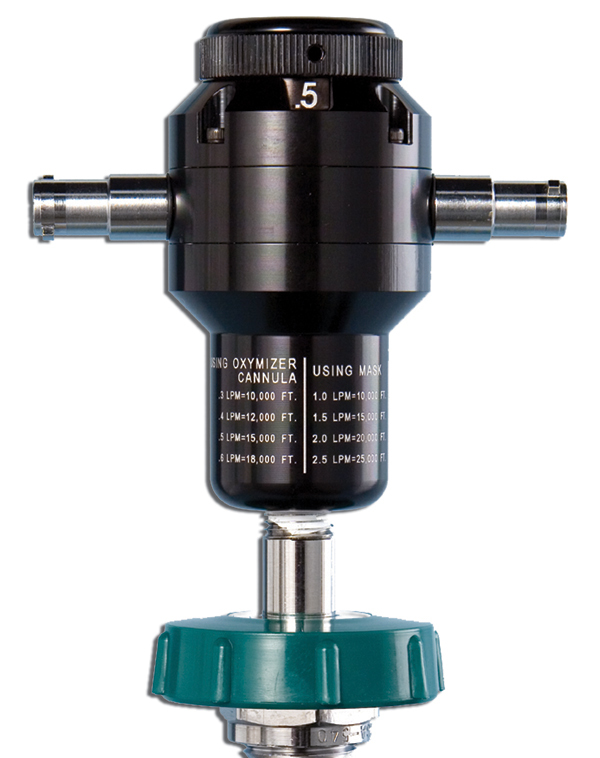 Accommodates standard CGA 540 valve. To select a 1-4 outlet regulator, use the pull down menu below. If you wish to view any of other Sky Ox products, click on any of these links - Oxygen Systems - Windsocks - Windsock Frames - Accessories.